2020 Kids, well known for its collection of fine children wear, is your destination for Wedding & Special occasions attire for children. 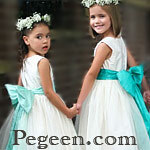 Custom made and In-Stock gowns at fantastic prices. Bring us pictures or your own designs and we'll make it happen. Boys' Tuxedos and suits too.